Liposuction is one of the most effective treatments to eliminate unwanted body fat. People who fail to remove excess deposits of fat with exercise and diet can now get back their athletic body shape by going through a safe and simple procedure. Even those who gained a larger amount of adipose tissue can shave off a substantial portion and feel great about themselves again.
" ... getting back your athletic look is now possible ... "
Fortunately, a new generation of technology and techniques deliver great results without the risk and trauma to the body that was associated with liposuction over 20 years ago. Liposuction today is performed with tumescent (local) anesthesia, which prevents bleeding and infection, and speeds up recovery. It also makes general anesthesia unnecessary which provides two additonal benefits. Originally, liposuction was performed with a simple cannula that was entered into the pockets of adipose tissue to break up fat cells. The same cannula was used to draw the fat out of the body. In the past decade, new devices were introduced to help the surgeon break down fat more efficiently and remove it from the body more effectively. In addition to traditional liposuction, the most commonly used technologies today are power assisted liposuction (PAL), laser assisted liposuction (LAL - e.g. SmartLipo by Cynosure), and ultrasound assisted liposuction (UAL - e.g Vaser by Valeant). Dr. Kwak was among the first to employ power assisted liposuction back in 2002. He was an early adopter of laser and high frequency focused ultrasound technologies at the University of Pennsylvania’s Center for Human Appearance. 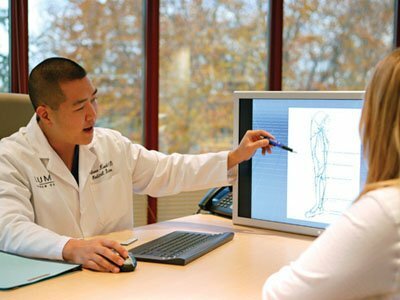 We make all these technologies available to our patients so we can mix and match the protocols that provide the best results possible. A typical procedure might start with the Power Assisted Liposuction to break down and remove large bulges of fat, continue with the Vaser to remove fat in areas that include other fibrotic structures, and finish with SmartLipo to accurately remove smaller pockets of fat and to tighten skin above the area where fat has been removed. Book A Free Phone Consultation ! 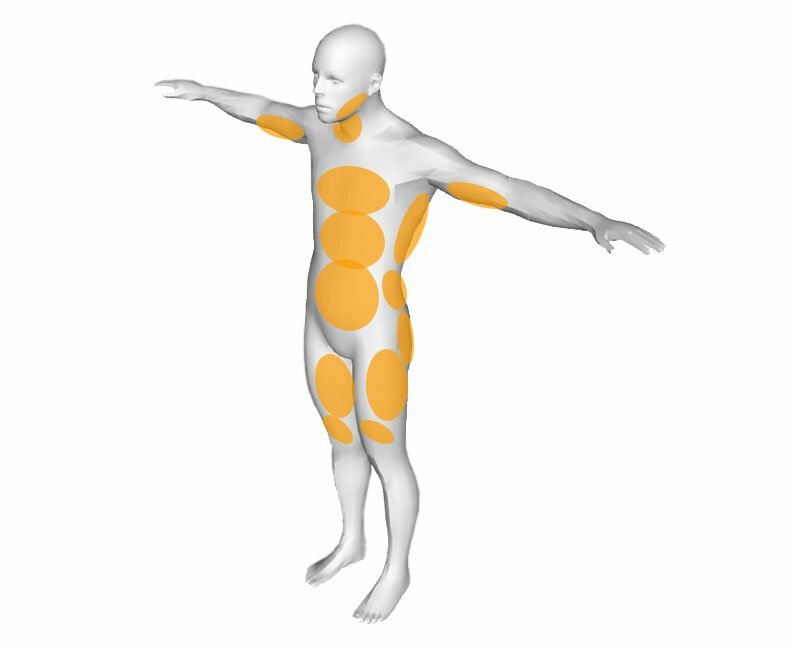 The base price of each treated area is determind by the size of the area, the amount of fat to be removed, and the difficulty level operating on that specific body part. The treatment area is far larger than that of an average person. The patient's health history or current physical condition requires modification of the procedure protocol. Previous treatment in the desired area normally adds challange. Treatment of multiple areas on the same day. In this case, resources can be combined and the savings are passed on to the patient. The purpose of presenting the price table below is to provide a rough estimate of the procedure cost in our area. Price may change from one provider to another. Our pricing usually falls within the indicated range. A manual liposuction procedure eliminates fat using a small sterile metal tube, called a cannula, and suction. During the procedure, the surgeon inserts the cannula into the target area, loosens up fat cells and uses suction to remove the broken down fat cells, which permanently reduces the amount of excess fat in this part of the body. PAL uses a special vibrating cannula to dislodge fat cells. It allows the surgeon to gently break down the fat faster. Less force is needed to remove fat. Greater quantities of fat can be removed in a session. The treatment time is shorter than a conventional liposuction procedure. The risk of complications is reduced. PAL can be used to gently contour the chin and neck area, as well as slim down tenacious fatty areas, including the abdomen, flanks, hips, buttocks, and thighs. To prepare the treatment area for PAL, Dr Kwak will inject a dilute, anesthesia-containing solution into the treatment area. The liquid causes the treatment area to swell. This step eliminates the need for general anesthesia and reduces blood loss during the procedure. LAL (e.g. SmartLipo by Cynosure) is using a laser beam to heat and melt the fat before it is removed by a separate suction device. SmartLipo is a new generation of energy assisted liposuction lasers that is used today by the most advanced surgery centers. Compared to older liposuction techniques, liposuction with SmartLipo is safe, requires only local anesthesia, and permits clients to return to normal activities within days rather than weeks. Our surgeons first injects the anesthetic and waits a few moments to ensure the targeted area is sufficiently numb. He then makes tiny incisions in or around the targeted area and positions a tiny tube through the incision. Next, he inserts the SmartLipo laser fiber through the tube and sends laser energy into the targeted adipose tissue. The energy permanently destroys the fat cells. Lastly, he gently suctions out the liquefied fat, and places bandages over the treated area. The entire procedure typically takes less than 2 hours to perform, with recovery times as short as 2 days. Post treatment, results can be seen immediately. SmartLipo can be used to treat excess fat on many different parts of the body, including: neck, jawline, arms, flanks, back, abdomen, buttocks, thighs and knees. Similarly, UAL (e.g. VaserLipo by Valeant) is using ultrasound energy to melt the fat. The heat produced by UAL and LAL heat the dermis and help to tighten the skin. Often, surgeons will use PAL to remove the fat and follow up with LAL or UAL to carefully improve the body contour and to tighten the skin. The initial results per each procedure can be seen immediately. 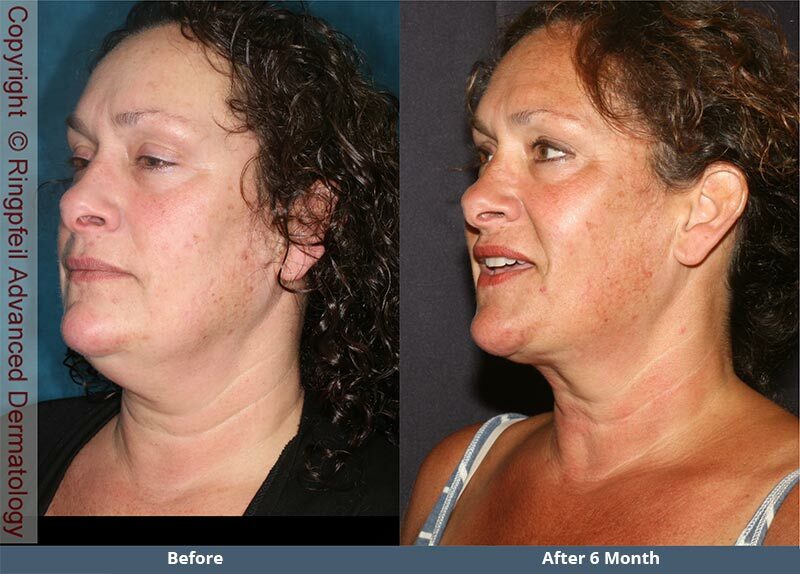 As swelling from the procedure diminishes and the skin tightens up, the final results are seen within 3 – 6 months. Maintaining a healthy diet and exercise regimen is paramount for lasting results. Most of our patients achieve their desired look with just one treatment session, but additional sessions can be performed if necessary. Liposuction is a very rewarding contouring method for people who are in good health and are bothered by bulges of unwanted body fat. If changes to your diet or exercise routine two to three times a week fail to eliminate excess fat, liposuction will be able to provide the body contour you desire. Our surgeons offers this treatment to patients who are close to their ideal body weight. Please feel free to use the blog below to share information about Liposuction or to ask Dr. Franziska Ringpfeil a question that might be of interest to others. I will be 60 in march and considering liposuction. I have always had a big stomach. I’m also overweight and have bulges all over. The bulges don’t really bother me as much. But I am so embarassed by my stomach. Is liposuction something that i can do? Liposuction can be used for a focal area of interest in the context of overweight. It would just not be feasible as a general solution for weight loss. To ensure smooth, consistent results, it is important not to remove too much fat. The amount of fat that can be safely removed is typically determined by standard recommended guidelines. An individual’s body composition can also influence the amount of fat that can be removed. No, liposuction is not a weight loss solution and should not be considered a treatment for obesity. Liposuction is designed to help slim down areas with stubborn fat that is not responsive to diet or exercise. The procedure can help contour difficult areas that harbor fat and works best on those who are close to their ideal weight. Does a liposuction procedure require a hospital stay? Liposuction is usually an outpatient procedure and patients can go home the same day. The risk of complication is very low, making an overnight stay unnecessary in the majority of cases. After the procedure, patients can expect to experience some temporary soreness in the treatment area. The procedure can last a few hours. 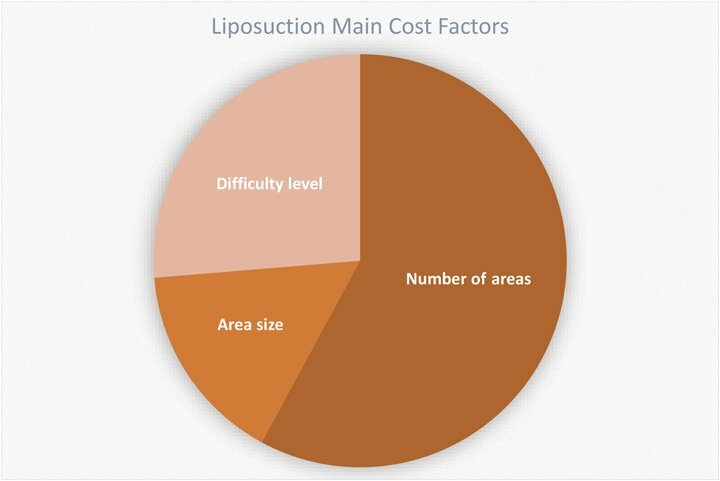 The amount of time needed to complete a liposuction procedure will vary, depending on how much fat is being removed and other factors specific to the individual patient and technique used. 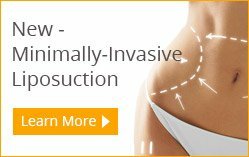 On what parts of the body can liposuction be performed? Liposuction can be performed on most areas of the body that has excess fat. The most common treatment areas include the abdomen, back (love handles), buttocks and thighs. Liposuction can also help shape the upper arms and treat a double chin. Liposuction is a body contouring procedure that removes unwanted fat mechanically. Tumescent liposuction refers to a technique that involves injecting a solution into the treatment area. The solution contains a local anesthesia, which eliminates the need for general anesthesia. The tumescent technique reduces blood loss and can yield better results than traditional liposuction. For a successful outcome, we meet with you to assess overall health, examine regions of unwanted fat deposit and skin tone. During the consultation our staff will recommend you stop taking aspirin, blood thinners and halt your intake of alcohol and tobacco several weeks prior to the procedure. We will discuss the risks and precautions related to liposuction. To learn more about traditional or power liposuction, please contact Ringpfeil Center for Body Contouring for your complimentary consultation. You will experience the outcome of your liposuction procedure in two stages. 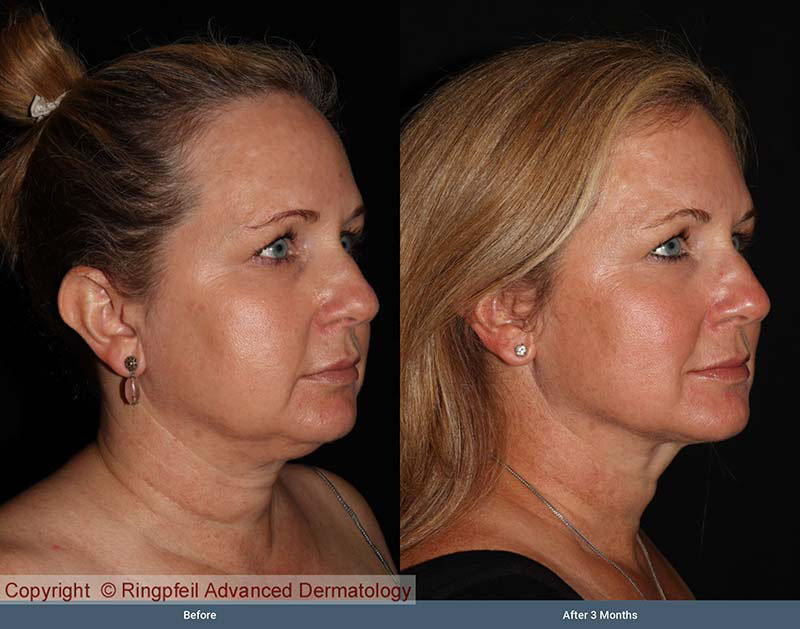 Ringpfeil Center for Body Contouring is proud to say that you will notice instant results following treatment. The final results are witnessed as swelling subsides and lax skin becomes tighter. 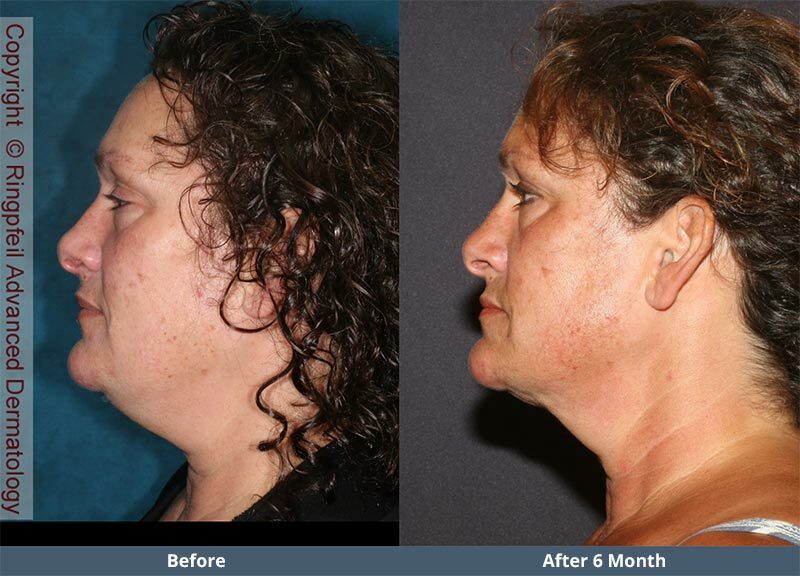 You will appreciate these results within three to six months. Dr. Kwak recommends engaging in a healthy diet, staying well-hydrated and participating in moderate activity 2 to 3 times per week to maintain results. Dr. Heckman gave me a lot of information and listened and answered all of my questions. Appearance of office, professionalism and efficiency of staff and doctor. I did not feel rushed. I felt I was Heard and listened to. The exam and explanations were clear .When my visit ended all of my questions,, symptoms, and diseases were addressed extensively.I am thrilled that I have found this office. I intend to refer my husband, son and friends. The doctor was very friendly and made everything relaxing. Botox - Learn how to improve your look with Botox Learn how Botox can improve your look. Identify the locations on the face in which Botox can reduce the appearance of wrinkles. Dr. Ringpfeil explains the difference between botox and fillers and point out the difference and similarity to alternative products such as Dysport and Xeomin.